PROCESS OF PLANNING YOUR WEDDING? ALLOW US TO HELP! Learn from industry pros on where to get started, what to expect when selecting a venue, if/why weddings cost more than other events, and so much more. 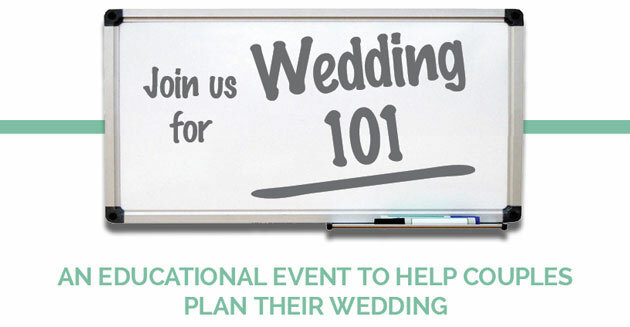 Plus, you will have the opportunity to ask our DJ, florist,photographer and venue pros questions about getting started.